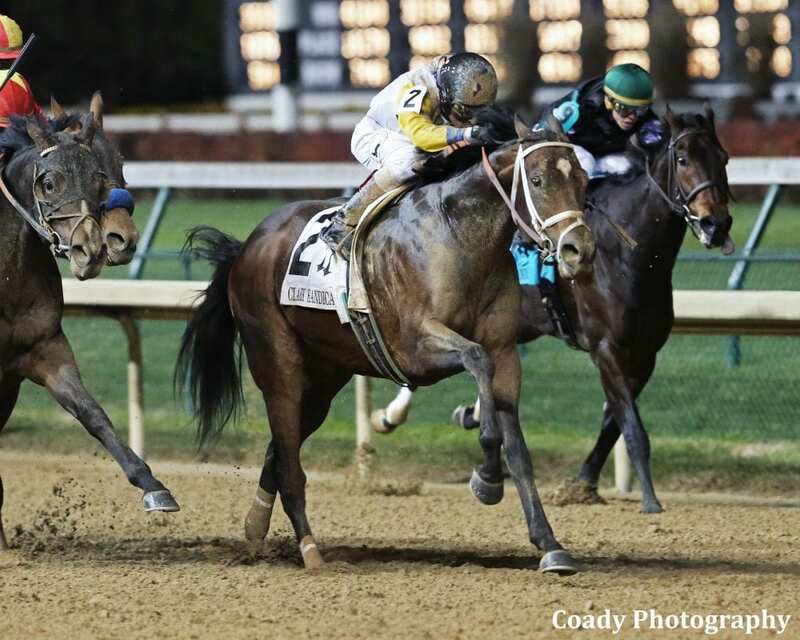 Charles Fipke's homebred Seeking the Soul, the 2017 Clark Handicap presented by Norton Healthcare (Grade I) winner, has his sights set on a repeat performance in the 1 1/8-mile race on Friday, Nov. 23 following his runner-up effort last Saturday in the $1 million Breeders' Cup Dirt Mile (GI) at Churchill Downs. Seeking the Soul, a 5-year-old son of Fipke's stallion Perfect Soul (IRE), was pointed to the Breeders' Cup Classic but was No. 17 on the preference list with only 14 horses making the starting gate. This entry was posted in Breeders' Cup, NL List and tagged breeders' cup dirt mile, churchill downs, clark handicap, dallas stewart, seeking the soul by Press Release. Bookmark the permalink.